What Biodiesel is: Biodiesel is a substitute for conventional fuel, made of domestic and industrial waste such as used vegetable oils, fats, extracted from animal tissue, and even from recently discovered staple ? ?“ seaweed. Biodiesel is not produced from a crude oil, however it can be mixed with petroleum diesel to create a biodiesel mixture. Biodiesel mixtures can be used in most if not all conventional diesel engines with no or little alternations needed. Biodiesel is uncomplicated to use, environmentally – safe, ecological, biodegradable and basically free of sulfur and phenyl containing compounds. What Biodiesel is not: Biodiesel is neither ethanol nor raw plant oil. Proper biodiesel should meet strict industry standards (ASTM D6751) to be classified as a fuel-grade. Only biodiesel that produced in accordance with ASTM D6751, ensures specified performance level and registered with Environmental Protection Agency is allowed to be sold and distributed for legal use in motor vehicles and other diesel engine powered equipment. Biodiesel is different from ethanol. Ethanol is renewable biofuel mainly made of maize and designed for use in internal combustions engines, while biodiesel is renewable biofuel made from range of products and intended for use in diesel engines. They have different advantages and properties. Raw plant oil can not adhere to (ASTM D6751) standards, not registered with EPA, and is not a legal motor fuel. Myth: Biodiesel has not been comprehensively tested and is just an experimental fuel. Fact: As proved by independent research carried out by the U.S. Department of Energy, the U.S. Department of Agriculture, Stanadyne Corp. (the largest diesel fuel injection equipment manufacturer in the U.S.), Lovelace Respiratory Research Institute and Southwest Research Institute – biodiesel is one of the most well-tried alternative fuel products that now are present on the market. In addition – biodiesel is less toxic, not as harmful to human health as conventional diesel and safer for the environment. Myth: No real biodiesel fuel standard exists. Fact: First efforts to set biodiesel quality standards were made more than 15 years ago. By now ASTM specifications exist for number of diesel fuel and biodiesel fuel mixtures. There are different standards for 6 to 20 percent mixtures (B6 ? ?“ B20 (D7467-09)), B5 biodiesel mixtures design to be used on and off-road diesel machineries (D975-08a), and home heating and boiler appliances (D396-08b). The original specification for pure B100 (D6751), regardless of the fat or vegetable oil used to make the fuel, was approved by ASTM in December 2001. Myth: Biodiesel? ?™ performance is not as good as diesel??™. Fact: Probably the most important positive feature of biodiesel is that it can be used in most produced to this day engines and fuel injection equipment in mixtures up to 20 percent with little or no difference in performance level. Biodiesel is also richer in cetane than any U.S. produced diesel fuel. B 20 showed identical fuel intake, horsepower, torque, and haulage rates as normal diesel fuel in more than 50 million miles of road tests. Also, biodiesels has greater lubricity, and it? ?™s BTU content is highest of any other non-conventional fuel. Biodiesel can be placed between #1 and #2 diesel fuels. Myth: Manufacturers? ?™ engine warranty does not cover use of biodiesel. Fact: All leading U.S. auto and engine producers agree with the use of up to at least B5, and vast majority of engine producers have officially acknowledged that the use of biodiesel mixtures up to B20 will not affect their parts and workmanship warranties. Myth: Biodiesel is a low quality fuel. Fact: A research published in 2008 by the National Renewable Energy Laboratory (NREL) shows that 80 percent of biodiesel produced in U.S. come out of plants certified under BQ -9000 fuel quality assurance program. BQ -9000 is designed to unify widely accepted bases of management systems with (ASTM D6751) standard, and includes all stages of staple selection, testing, mixing, production, delivery and management. It is up to biodiesel producers to join BQ -9000 or not, but as research shows, biodiesel industry largely satisfies national diesel fuel quality standards, with those participating constantly reaching the benchmark. Myth: Biodiesel can be stored only for a short period of time. Fact: In fact, biodiesel has the same storage time as conventional diesel. Most of crude oil fuel production companies advice to store petroleum diesel for no longer than half a year. ASTM standard clearly states that biodiesel shall be sold within 6 month or rechecked in order to meet quality requirements. 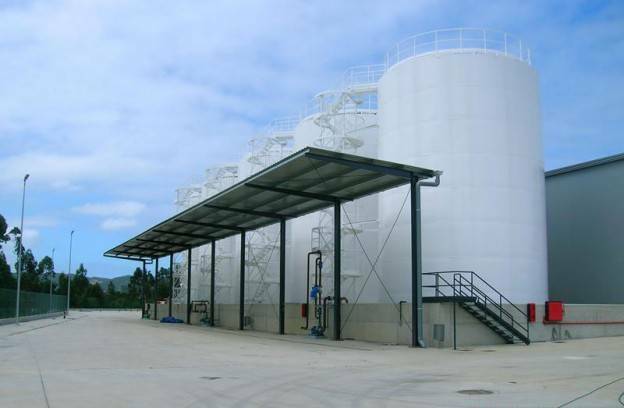 It is possible to produce biodiesel with longer storage period provided that special ingredients used to optimize the blend. Myth: Low temperatures affect biodiesel performance. Fact: Most common mixture of 20 percent biodiesel affected by low temperatures in the same way as conventional diesel. It is true that both conventional diesel #2 and 20 percent biodiesel mixtures will become jelly-like in very low temperatures. Hence, they both need special management procedures in order to be used in the coldest places on Earth. Mixtures of 5 percent biodiesel and less make absolutely no difference on performance level in low temperatures, however 100 percent biodiesel has a higher cloud point than conventional diesel fuel #2. Myth: Biodiesel can be blamed partially for global climate change and growing production of CO2. Fact: Biodiesel is environmentally – friendly component of any conventional diesel and biodiesel fuel mixture. As it reduces lifecycle carbon dioxide, CO2, by 78 percent, in comparison with conventional diesel. A 2008 USDA/University of Idaho research demonstrates for every portion of traditionally created energy needed to produce biodiesel, 4.5 parts of energy are received. There is no need for extension of agricultural land, to produce staple for biodiesel, because soybean oil is currently produced in excess of market demand. The National Biodiesel Board calls for responsible towards environment production of biodiesel. There is no evidence or proven facts that biodiesel production leads to deforestation, and the best part of U.S. biodiesel is produced from domestic staple. Myth: Production of biodiesel leads to increase in food prices. Fact: Production of biodiesel makes the price of soybean meal lower. Only 20 percent of soybean is oil, which is used for biodiesel. Remaining 80 percent is high level of protein containing product used in food processing industry. Biodiesel can be made of already used materials, such as restaurant fats, used for deep-frying. Unlike conventional diesel made of irreplaceable fossil, biodiesel is produced from renewable resources: vegetable oils, fats, extracted from animal tissue and recycled materials. Greater demand for biodiesel will actually make the price of soybean meal lower.